...it should say No. 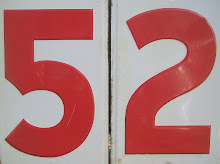 52! But I guess that's a matter of opinion! Anyway I love the look of this bag. I bought it at Pretty Funny Vintage over a year ago. that I bought on sale at Anthro 4 years ago. I use this same little purse every single day! I no longer switch out with my other purses. pocket for my point and shoot camera and cell phone. It goes well with my jeans and sweater uniform. It's small and light and the perfect bag to take to flea markets. So this very cool bag sits in my closet unused. What does this have to do with my 800th post? of the wedding of Mr. Flea and me? and send it to one random and very lucky winner! You may ask, "what will she put inside?" The answer is ... it depends on who the winner is. or ephemera or...well, you get the idea! and tailor the contents to the winner's interests. just leave a quick comment on this post. Let me know what your vintage loves are! But, if you are...you get two chances. For three chances...spread the word. no matter where in the world you live! Yes, that's Friday the 13th! Will that be your lucky day? here at 52 FLEA as I am! IS COMING UP SOON !! even if I don't win- Happy happy anniversary and congrats on 800 posts! First off congratulations on your 800th post and your special day with Mr. Flea :)As to the question of what I would love the bag filled with I would have to say a little bit of everything...its too hard to choose and I just love suprises!! Congrats on your 800th post! I bet I have read every one of them! I am also a follower of your blog and I would love to win this purse! 800 posts is just truly amazing! Congratulations to you and all your fabulousness!! WOW! 800 posts!... I ADORE your blog! Thanks for the chance to win... great big hug... I have been a follower since you your first days. I remember when you posted about GETTING this little beauty! Happy 800 post & happy anniversary! I love EVERYTHING vintage, I really do, but if I had to choose something in particular... oooh, it's still too hard! I love vintage buttons & ric rac & notions packaging... but really I would be happy with just this gorgeous bag; super generous giveaway, thanks! Congrats on 800 posts! Wow what an accomplishment. 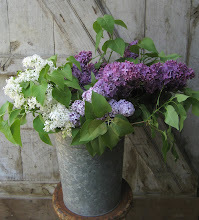 Even though I don't comment too much here, you are one of my favorite vintage blogs. I absolutely LOVE that bag and would be thrilled to own it (it really is to die for) and as if that bag weren't enough, you want to tuck some more goodies inside? Well if I were the lucky one who wins, I would be so happy to find some vintage ephemera, lace, buttons or a bit of old jewels to create with inside. I am already a faithful follower. I posted your giveaway on my blog's sidebar. Congrats on reaching the 800 post milestone, and Happy, Happy Anniversary. I love the purse, and I do switch out my purses, except when I'm lazy too! ;-) Thanks so much for the chance to win. And as far as vintage loves, I love old silverware, textiles, ephemera, you name it, I love it! MY eyes just about bugged out this bag is stunning...although I am with you I use a cross body hands free for antiquing bag everyday!...What a wonderful giveaway! Good luck to all! Stop by my blog, I am also having a giveaway. Anything you picked would be fine. You have great vintage style. 800 posts! what a milestone! and a wedding anniversary - another great milestone! the purse is lovely - and filled with ephemera and funky metal findings would make it perfect for me - plus "56" works for me! thanks for sponsoring such a great giveaway! Stop the pressess.... or the giveaway... I certainly HOPE I win cause I LOOOOVE that bag! Love!! And of COURSE I already follow you!! crossing my toes on this one!! And...I am a *52* follower for sure!!! I simply MUST have this purse - it's my mom's maiden name! So that's it! Can I please win this bag??? PS-love your blog and all your ideas. Congratulations on your 800th~! Awsome. I love this vintage purse and I would use it all the time. Ofcourse, I am a follower. This is my first time commenting. I love your blog and your "style". My vintage style is just about anything. I have loved everything I have seen on your blog, so you are right up my alley so to speak. Congratulations on your anniversary and your 800th post. Congrats on reaching your 800th post milestone! This bag is beautiful! I love all things vintage . . . postcards, pictures, figurines, dishes etc. else. Congrats to you for your devotion and creativity. we have met on here :) Here's to 800 more sweet posts! Yes, I likey the bag. Happy Anniversary ! And Happy 800 blogs , Wow ! I love almost anything vintage , but vintage linnens are my favorite . I am a follower . Laura that bag is fabulous! I would love to win it with WHATEVER you put inside! And I am a follower too so here's my 2nd chance to win! Congrats on your 800th post Laura and to how ever many candles you are putting on your anniversary cake tomorrow!! 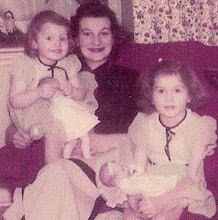 I truly love to come and visit you ~ your blog always makes me smile. I've had a link to your blog on my side bar for quite awhile but just realized I hadn't actually become a follower...I am now. I love just about anything vintage but my truly soft spots are sewing related and old crochet. Thanks for the chances at your great giveaway! I think this purse is just the coolest thing I have seen in a while! Would love to have it filled with vintage sewing stuff and ephemera! Especially since I love to sew fabric collages and books! Please put my name in the hat! I've told you before, but I check your blog daily, in fact it is the very first on my bookmark list! I am a follower too! My birthday is Sunday and it would be an awesome present to win!! Thank you so very much for sharing your adventures with me through your lovely blog. We've made plans to visit Ivoryton this May when we come to Brimfield. I purchased a handbag from a lady in the May's field in Brimfield for my daughter for Christmas, when she opened it, she was so surprised, and wanted to send a note to the vendor, she pulled out her business card, the company is Willow Tree in Chester, I pulled up your post and there was Willow Tree's shop. We are adding it to our list as well. We hope the weather cooperates so that we can go to the Elphant's Trunk Flea that you've written about. The weather rained it out on our last trip. One of my favorite photos was in your post about the young moose swimming near your home. Simply beautiful. I wish you and Mr. Flea a happy anniversary. It's been a joy to follow. Congratulations on 800 posts! Love the purse and you could put anything blue in it and I'd be happy. I'm sharing on my facebook page. I follow religiously, and I have coveted one of those bags for the longest time! I'd love to see it filled with anything, but my first love would be ephemera.....oh, thank you so much for the chance...!!!! That's got to be the coolest purse ever! Thanks for the opportunity to be the next treasurer. Wow! 800th post! Congratulations! I am loving that purse! Awh! And to be filled with goodies! I love it when you have a giveaway! I would love it even more if I won! hahahaha! Happy Anniversary! Happy 800 posts! I love your blog and I follow you on my Google Blog Reader. Does that mean I'm an official follower? Also - I love pretty much anything Vintage, which is why your posts are always so enjoyable to me. Hey Laura...well I wouldn't mind the number 56 at all! And just think how easily it could be filled with 'my kinda stuff'! And...guess what else? February 13 is Michael's birthday! And, of course, you know I follow you. congrats! and i think this bag is awesome...if i were to win, i'd love anything you'd put in it! btw - i'm a follower! i subscribe to your posts via email. Oh the purse alone would be great but I love anything rusty and girly girl items and my fav is purses! I”m a follower already...do I get two changes then? got so excited I didn’t finish reading your post. Happy anniversary and I'm sure I have read each and every one of your 800 posts! Count me in please! Yup, I'm a long time follower! I'm a follower. 800 posts is an impressive body of work/sharing. It's always fun to check in with really creative people like yourself. This blog has been fun to follow. If I win surprise me, you have killer taste and I 'm sure I'd love anything you'd choose! It's there . . . your giveaway is there on my sidebar. Come see! Happy 800th post!!! I LOVE that bag and to know that it could be filled with things I adore makes it incredibly dreamy! Thanks so much for the chance but even more for the constant inspiration you share with us in blogland. Here's to 800 more posts! Hi sweetie, I just facebooked your giveaway too!! alright Laura, this bag is absolutely beautiful, even nicer than I pictured it when you described it yesterday. What a lucky person that will be, who ever wins it....wish it could be me!!!!!! Good Lord, 800 posts...I think I am up to 63, ha ha. My dearest friend, thank you for all the help yesterday! I also wish you and Rob a happy anniversary...and for him good luck tomorrow. What a beauty of a purse! I just love the clasp. I am a collector of all things faded, chipped, and rusty. Happy Anniversary and Congrats on your 800th post. Hey, shouldn't we be sending YOU gifts for all you've shared with us in your 800 posts??? Congratulations on your accomplishment! I really enjoy your beautiful photography and the way you always put your vignettes together. Reading your blogs is part of my inspiration time every day! I am now a follower and I shared your post on facebook! Thanks! Oh...I love that purse. I've wanted it from the first time I saw it on some site or another. I'd love to win it. Cute bag. Congrats on 800 posts and happy anniversary. I am a follower. Very nice of you to offer this great giveaway. That is a fabulous bag!!! Love it and would love to win it! Thanks for the chance. I think my favorite would be anything with old paper or things like that. Oh My Gosh, what a FAB bag! I absolutely love it! Just found your blog today, and I love it. Congrats and wishes for more great success! wow, congrats all the way around! you are one of the sweetest people i've been blessed with meeting. just love you! Oh wow, that bag is amazing! Thank you for the chance to win. Ooooh all things vintage, if its old, even kinda crusty, I'm bound to love it. Especially ephemera, linens, jewelry (I collect the cream boxes) & anything Frenchy. I LOVE the pale aqua and pinks, but have more recently gone gaga over neutral creams and whites. I'm sure anything you stuff that tote with would be adored by lil ol' me. Your blog is wonderful, you my dear, are far from boring. I am off to follow and spread the word. I am a follower! Congratulations on your 800th post! I love all things that are vintage and small! Numbers, clock pieces and jewelry gems! Congratulations on your 800th post and Happy Anniversary! What a great giveaway. I would love anything in you put in the purse, but my first choice would be art supplies. Barb - formerly Barb and Dell Designs. By the way, I have been following for some time now. How did you know I've been wanting this very purse:-) Please enter my name into the hat and of coarse I'm a follower of all things with the number "52". As far as what to put inside.....you know me, anything white and chippy or that has numbers!!! Thanks for such a great giveaway and Happy anniversary. I would dearly love to win this so please count me in! my particular love is roses of any kind! Have posted on my FB page as well. Are you kidding?.. WOW, You are a generous soul!...That bag could just hang on a hook at my back door...and everyday I would look at it... and it would make me smile! But if I win, I will definitely use it...and you will know it went to a good home!! Happy Anniversary to you and Mr. Flea!! Lovely vagabond purse! Happy 2012 to you! Congratulations to you on your 800th post AND your anniversary - both lovely milestones! It's hard to choose a favorite "genre" of vintage goodness, but if you were going to fill such a uniquely gorgeous bag as this for me I would LOVE for it to be filled with vintage ephemera, sewing notions, and anything with a floral motif. :) Here's to 800 more posts, and many more wonderful years with Mr. Flea! Getting a gorgeous purse like this filled with vintage selections would be a dream come true. I also follow your blog and LOVE it by the way. Lovely! 800 posts, and each one a gem. Happy Anniversary too! Congratulations on 800 posts and on clocking up another year of marriage. I have been a follower of your blog for ages because I love your finds and your sharing of pictures so do please keep it up. If I won this giveaway I would love anything relating to sewing and blue and white. My bowerbird tendencies really kick in for those. Thank you for sharing as always and long may the blog and marriage last! HAPPY 800TH POST, Laura! You are loved in the blogging community for sure, girlie! ♥ Are you serious? You want to give up this great bag??? Wow! I'd love to have that baby slung over my shoulder! Thanks for this oh so generous giveaway!! :) Oh, and yes....I'm a happy follower of yours!!! congrats on your 800th anniversary and your posting your mr.... oops. did that bassackwards ... seriously, congrats on both the blog and the lovely marriage. again, many congrats to you on everything. Laura, Happy Anniversary to you and Mr. Flea! And congratulations on 800....oh, does that mean you now toll free?? The bag is lovely and I would love any little thing you tucked inside. I am a loyal follower, too. Happy Anniversary and congrats on your 800th post! All very special. I think the bag is adorable and would love anything you put in. I'm a loyal follower too! Happy Anniversary Mr. & Mrs. Flea! It was mine today, 27 years - hard to believe. And 800th post - my word, I am still working on my 8th!! Thanks for always being so generous with your giveaways - you are the best! If I were to win this goodie bag I would want it crammed full of vintage playing cards, old calligraphy writing nibs and feathers, lots and lots of feathers! Oh, and some angel wings. We can all dream....! Congratulations on your 800th post and Happy Anniversary! What a beautiful Bag, I would Love to win. I Love Old, Vintage, Rusty, numbers, letters, keys, buttons...I guess a little of everything, Lol! Wow! I love the bag!! Anything put in it would be an over the top bonus. Happy anniversary! I am a Follower, for a second chance. i love this bag. thanks for a chance to win it. vintage things i love? napkins and napkin rings, silverplate, christmas ornaments, linens, birds...i'm easy to please. congrats on your anniversary and 800th post! this loyal follower loves your blog. First and most important *Happy Anniversary* I wish you a special day filled with moments only the two of you can share! I am so proud of you Laura for all those 800 posts you managed to create on your blog. Thank you for the times when you felt uninspired, the times when you were sad, the times when you were so excited to take us on your journeys and the times when you shared you lake house and showed us the special treasures you found. The purse is fabulous! I would be so excited to blog about winning your so generous giveaway! 800 posts WOW! Congratualtions! Throw my name in the hat, I love vintage lace, bling, buttons! What a wonderful giveaway~ I'd love to win! A BIG congrats on your milestone AND your anniversary! Wow Laura I think this sounds like the best blog give away ever! Well, first things first...Congratulations! It´s a pìty you don´t use that great purse... I would fill it with a little bit of this and a bit of that, since you have such good taste, i´m sure I´d love what you´d choose. Sorry, I left the above comment. I´m a follower too. i'm so glad i visited in time to have a chance to win this gorgeous bag! happy anniversary and a very happy new year! and i am your follower so yay, for two chances! for a third chance, i posted this on my sidebar! Oh my goodness, congrats! I am a lucky and happy follower, so count me in twice. I love vintage ephemera/art supplies. I just love this bag. I love so many things but have a special liking for old buttons and threads etc. Have a happy anniversary and I so hope I may be the very lucky winner. Congrats on post #800. Love your blog and this bag! I love anything vintage, so whatever goes with the bag would just be icing on the cake if I'm the Oh SO lucky winner! And of course I'm a follower too! First of all Happy Anniversary to you and Mr Flea .. may all your days be happy and your pockets full!!! & Happy 800th post.. Look forward to reading the next 800!! Secondly.. Looks like i picked good timing to catch up with you.. but already 154 comments!! woohoo! what are my chances! I think any thing you filled with gorgeous purse with would be fine by me!! Of course I'm an avid follower too!! Happy Anniversary! What a lovely giveaway. I love your taste, and all things vintage. Anything your put in there will be treasured! Oh...I am a follower also! Congratulations and Happy Anniversary. I love your blog. I love vintage especially jewelry. I read your blog every new post which is mostly every day. I am new to blogging and I love it. Your's is the first one I read every time! I would love to win! Put my name in. I follow you too! I cannot believe this gorgeous giveaway! I was just going through my purses yesterday and thought, I need a new one! Just what every man doesn't want to hear, right? No. 56 is special to me, keeping my fingers crossed! congratulations again,-and a very happy anniversary- your giveaway will without doubt be a gorgeous one ,and filled with vintage goodies,that I would love . 800 post congratulations, all just as beautiful as the last. Been a follower for some time. Love the purse. ... and I forgot to tell you if I win this purse it will be my Sunday best purse. You know my go to church purse as we say in the south. Oh my....please add my name into the drawing. Love the bag. I don't recall if I follow your blog thru blogger but I do have you in my bookmarks. My favorites are just about anything. A very gracious giveaway. Happy 800 post, and happy anniversary to you and Mr. Happy 800th birthday post. I am an avid follower via google reader. The photos you post are so beautiful as is this purse. Love this! That purse is also fan fricken tastic! congrats on the milestone! and on your anniversary! congratulations to you. I understand about not switching a bag out. :) I love anything enameled, wired or rusty, or made from grain sack fabric. Thank you for your generosity! oh and I follow religiously....and your giveaway is on my sidebar :) thanks again. how fun! This is a favorite place of mine. I visit here often and always leave happy. 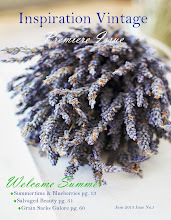 The wonderful adventures and finds are one reason to visit this fun blog...but Laura herself...her sense of fun and talent is the reason I come by. Laura sent me a little something "special" not too long ago...out of the goodness of her heart...and it gave me a boost when I needed one. The bag is wonderful...and very "special"...just like this blog...and Laura. Oh my....it was love at first sight even before I saw the striped lining! Thanks for a chance to win! Happy Anniversary & congratulations on 800 posts! That's such a cute purse and I'm sure anything you put inside will be lovely! I'm especially fond of typography, ephemera and sewing notions. What I love about giveaways is that, whenever I have won one, it is always placed somewhere in my home where I can see it everyday, and reminds me of the person who so kindly sent it to me. It is a lovely way of always being in touch with my wonderful and special blogging friends. I have sea glass and shells ( among other things) from Gigi @ The Magpie's Fancy, paper tags from Koralee @ Bluebird Notes, Postcards from Vicki @ French Essence and from Jeanne @ Collage of Life, a wooden heart with calligraphy from Ange @ Signed By Ange and other lovely things from pother bloggers ..... I love all of these treasures that have been so kindly sent to me so, for fear of sounding greedy !! a gift from you would be so precious to have in my home. That beautiful bag would hang in my lounge and used by me on my various jaunts. It looks such a good size for all of my needs and little treats for our grandson !!. Anything that you were to put in it would be an added bonus. Thank you for such a thoughtful and gorgeous giveaway ..... I shall put it on my sidebar immediately. Wishing you and Rob a very Happy Anniversary ..... have a special and magical day and, congratulations on 800 posts .... what an achievement. I haven't even reached 200 yet !! I'm your newest follower, too! 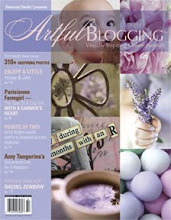 Adding this lovely giveaway to my blog sidebar now. Thank you so much Laura!! First, congrats! I love vintage Christmas, advertising on wood, mini oil lamps, and kitchen items. I especially love green! 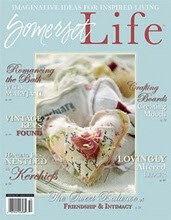 I am a follower and I have also linked to your giveaway on my blog (melissasantiques.blogspot.com). Laura Congratulations on your 800!! Post and on your Anniversary!! I would love, love to win this wonderful bag! It is so special. I love finding vintage linen napkins or unique baskets! Oh and yes I am a faithful follower! I love your site! Thank you! Big congrats to you! Happy Anniversary to you and Mr Flea Too! I follow your blog and love this bag! Anything filled in the bag would be perfect! love this! & congratulations on the anniversary! I love this bag and would fill it with little sewing treasures! 13 is my lucky number! this is Paola ,your Italian follower from Verona...living in California. Dear Laura concratulations with your 800 post Anniversary!!! I love to make a chance to win it... what i want insite the purse.... a lot of love!!!!! from you!!! Friday the 13th was always a lucky day; a favorite with my mother-in-law so maybe it will be a winner pour moi, n'est-ce pas? I added your site to my favorites and if I should win I think I would give it to my daughter who is 52...and busy with her children...so it would be a handy, dandy size for all those days in the car taking her family to their various activities. 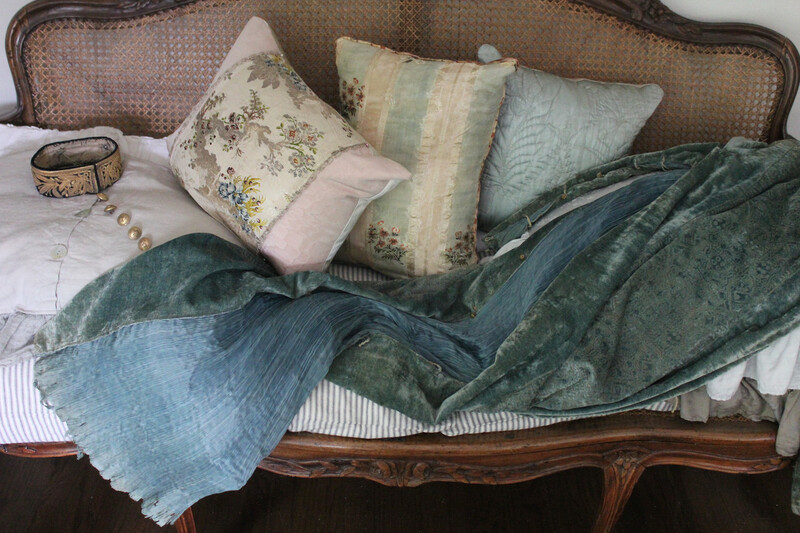 Favorite vintage: would love a large scrabble pieces, pillow cases, lace, napkins, tiny books, fleur de lis, eiffle tower designs on things, vintage kitchen towels, sweet children vintage pictures, etc. Thank you for having this giveaway and blessing to whoever should be the winner. I would love to win this beauty from you - even if she is empty! I think I would adore anything you put in it. - vintage of course ;) I love chippy, salvaged, worn and loved things!! Thank you for the chance - and a big WOWZAS on the 800th post!!! Oh my goodness. That purse is SO CUTE! I am working on post 1,000 - can you believe how the time flies! I will pop this on my sidebar! 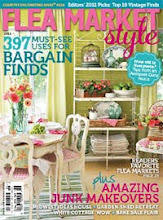 Parisienne Farmgirl Magazine 1st Gorgeous Edition arrives April 1st Subscribe Today! Love the bag and your blog. My favorites are vintage clothing,jewelry, boxes,doilies, and chests with lots of drawers. Ooh la la! I am a purse fanatic and I love this purse! 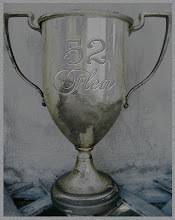 I love so many vintage treasures, that's why of course I love 52 flea. I love old rhinestone jewelry, sewing implements along with my charming Singer Featherweight sewing machine, dress forms, cookie cutters, and so much china! I hope Friday the 13th turns out to be my lucky day! AAHH!! I love this and have been looking at that type purse! I love vintage garden/seed/flower items...nature such as the butterflies, bees(beekeeper here,)nests... you get the picture. Thanks for offering up to some lucky winner! I am follower! Happy Anni to the Fleas! I absolutely love your blog & it's gives me many ideas & inspirations! It's difficult to choose just one vintage treasure that I love...from old camera's, windows, buttons to candlesticks, furniture & crates, I could go on & on!